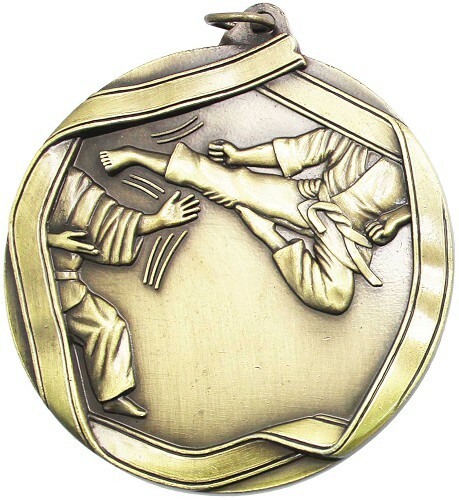 Heavy Metal Karate Medal and Ribbon. 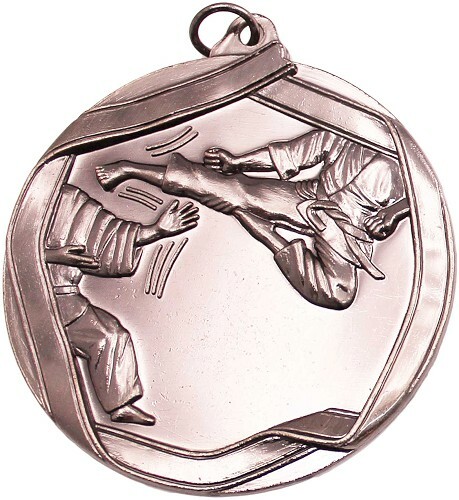 60mm metal karate medal available in gold, silver and bronze, complete with a red/white/blue ribbon. You can have a medal box with an engraved plate for an additional charge.